The three rules of real estate: "location, location and location." Address: Alpine Eco, Survey # 13,Doddanekkundi Village,Krishnarajapuram Hobli,Marathathalli Outer Ring Road, Bangalore - 560037. Nearest P.O. 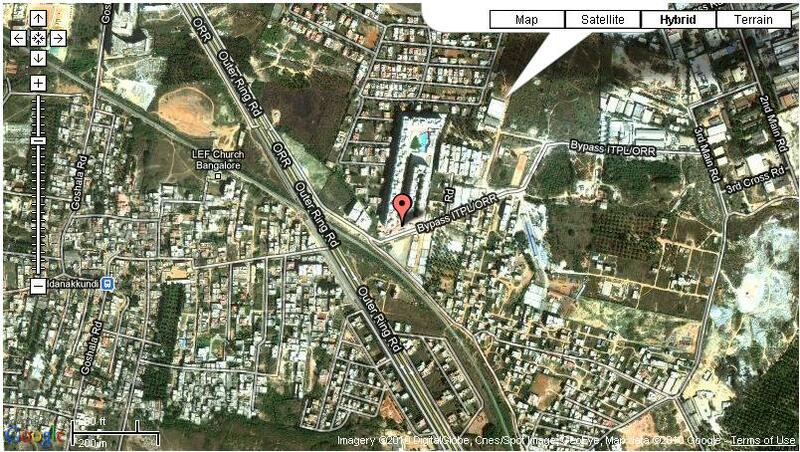 is Kundalahalli exactly opp Cosmos Mall near AECS layout. It is situated in basement of a shopping complex. A 2 BHK 1188 sq ft apartment in ‘ALPINE ECO’ is available for rent with effect from 1st May 2012. It is in 2nd floor, east facing entry. It has 2 balconies, 1 utility with a sink. Semi-furnished with modular kitchen, wardrobes, crockery unit, shoe rack, geyser in one bathroom. Ample air and sunlight throughout the day. 1 open car parking. Apartment is conveniently located in Doddanakkundi, just off Marathahalli outer ring road, within 2-5 kms of Brookfield, Whitefield, ITPL, Marathahalli junction, K R Puram railway station, major malls like TOTAL, MORE, COSMOS, HYPERCITY, PHOENIX etc. All major school buses come to apartment gate – National Public school, Delhi Public school, Ryan International, Cambridge, National centre for excellence, Gopalan, Vibgyor etc. Apartment has all the modern facilities like well equipped gym, indoor games like TT , Billiards, Chess, 2 swimming pools, sauna, water body, children park, walkways, basketball / badminton / tennis / squash courts, temple with a priest, 100% power back up, ICICI bank ATM.